Exceptional Service. We are proud to help you live better. Janzen's is committed to helping our clients Live Better Every Day. 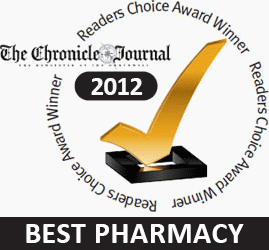 That commitment extends beyond the walls of our pharmacy, into our community and our clients' homes and businesses. Our team of pharmacists helps you understand your medical condition, manage medications, and helps improve your overall health. Each of our 5 locations carries a large selection of healthy snacks, protein bars, super-foods, and other natural food products. Nurse practitioner, and a variety of clinics including walk-in, vaccine, travel health, INR, pain management, and more. Janzen’s carries a wide range of vitamins, natural health products, as well as nutritional and sports supplements. A wide selection of Home Health, mobility and sports solutions to help you Live Better Every Day. Our Live Better division links Health, Nutrition and Fitness, to create a whole health environment.